The role of social media has surfaced and often criticised in national discourses, especially in the Post war period when a vicious wave of anti-Muslim hate and animosity, began to blow across the length and breadth of Sri Lanka, on the heels of the end to a bloody 30 years of an ethnic war waged against the State by the ruthless Tigers. This discourse became sharper, especially during Aluthgama communal violence in the latter phase of MR’s tenure of office and also during the more recent Ampara/Digana spate of anti-Muslim violence, for a mixed bag of reasons-both good and bad. Ironically, Aluthgama mini-1983 style Anti-Muslim violence in 2014 was the culmination of a well-orchestrated hate campaign carried out by extremist hate groups whose patron saints were in the higher echelons of the MR government. Although the scale and violence during 1983’s anti- Tamil pogrom was by no means an equal comparison, the Muslim community in Aluthgama and even beyond, in 2014 felt the same way how the Tamil community then felt, and arguably still feel today close to four decades later. Similar sentiments were reportedly echoed in a documentary titled Demons in Paradise”, directed by Jude Ratnam mostly reflecting on Tamil militancy during Sri Lanka’s civil war. Thus, after many such similar spate of hate attacks from Gintota to Digana, even under this government which came to power to set the climate right, an unbeatable sense of fear and insecurity overwhelms Muslims in particular and minority communities in general, not knowing when they will next be targeted by the hate groups or attacked. People of all communities feel that this is no way to live and no way to reconcile. Yet, with the escalation of hate speech especially anti-Muslim hate, in the public domain(+social media) and resultant hate attacks, with a laid back Government in denial, the signs are clear that such hate peddling is moving from being a fringe activity to mainstream. It will therefore be relevant to review the role of social media in this context. Firstly, in order to initially look into its’ beneficial role , how both the government as well as the mainstream media acted for example, during the Aluthgama violence, to keep away the relevant details from the country and the international community, would prove useful. It should be recalled Ven Gnanasara of BBS, in an inflammatory speech in Aluthgama when previously a tense situation had arisen, hit out at the Muslim community as well as the government for ‘betraying’ the Sinhalese people.He was heard speaking at the gathering adding that that both the government and minorities need to remember that the country had still a Sinhala police and a Sinhala army – statements that gave way to cheers from the assembled crowds. This fiery speech undoubtedly acted as a catalyst to these well-planned attacks (or ‘Aba Saranai’) to many Muslim areas in and around Aluthgama. An unofficial ‘news blackout’ was imposed by the government on mainstream media with regard to reporting on the anti-Muslim violence that erupted in the area. Highly placed officials informed editors of news and print media in Sri Lanka to desist from reporting the ground situation prevailing in Aluthgama, Instead, the media were told to only inform the public about the curfew imposed due to a “tense situation”. Even a blanket media blackout was ordered on the meeting that was held between Muslim organisations and the Secretary to the Ministry of Defence Gotabaya Rajapaksa, who was widely considered as having given patronage to BBS. Mainstream newspapers thus falling line with the government’s desire to hide the truth, refused to fully report on the Aluthgama reports, giving it very little prominence , citing reasons ‘born of a desire to refrain from inflaming communal tensions further in the light of the incidents’. The editorial of the State newspaper, Ceylon Daily News (CDN), on 17 June 2014, downplayed the incident by claiming it was ‘isolated’ and was being exaggerated. Keheliya Rambukwella, the then Minister of Mass Communication and Information made a statement that was carried in the CDN directing the media to ‘act with responsibility’, also insinuating that the incident was being sensationalised. Colombo Telegraph reported that CDN built a conspiracy theory around the violence that erupted in the area, blaming a ‘foreign hand’ for orchestrating the anti-Muslim violence. Daily News then Editor Rajpal Abeynayake, also drew comparisons between the violence that erupted in Aluthgama and Beruwala and the covert operations carried out by the US to create a regime change in Cuba. He also heavily criticized social media users who updated the ground situation in Aluthgama and Beruwala in the wake of the clashes that Sunday onwards, describing them as ‘social media vultures’ while accusing them of carrying out a ‘vicious misinformation campaign’ while commending the mainstream media for ‘sensibly releasing the news through a filter’. Privately owned newspapers such as the Island and the Daily Mirror too presented very little information on the incident. In fact, the Island’s editorial on 16 June 2014 insinuated that the blame lay with the Muslim community, as it claimed that participants at the BBS ally were attacked first. The Daily Mirror newspaper edited by Champika Liyanarachchi also failed to report on the violence for over five days and then thought it fit to publish a series of pictures in its newspaper of Sinhala homes that had been damaged in the violence while Minister Champika Ranawaka was on a visit to a Sinhala settlement in the Dharga Town area in its weekend edition. The report came under the title US creating another Taliban in Sri Lanka – words of Champika who claimed the US was not taking a stronger stance on Muslim extremists operating in Sri Lanka. Journalists of the newspaper told Colombo Telegraph; ‘It was a grave miscarriage of justice to fail to report on the fate of Muslims while attempting to portray the victimisation of the Sinhala community alone. It has exposed our prejudice. We are standing for aggressors of minorities we will stand up for the majority community but never ever for the minorities. “We could have balanced it and written about it but we just stayed silent”. Thus, the mainstream media’s version of events ultimately began to resemble quite closely the government’s official version. The online journals like Colombo Telegraph and Ground-views in contrast, played a constructive role. It was to the credit of the social media which then emerged as an alternative channel of information. Independent journalists were instrumental in reporting—in real time—the events in Aluthgama , and were freely sharing information and updates to produce raw and unedited version of events as they unfolded using social media platforms such as Facebook and Twitter. The extraordinary controls that the government exercised over the mainstream media did not appear to extend to social media. Such information was thus ultimately instrumental in generating public awareness of the Aluthgama riots both within the country and beyond as well. This intervention was called for, as the Defence Ministry even instructed all civil society organisations to refrain from holding press conferences, workshops and training for journalists. Workshops on investigative journalism organised by Transparency International Sri Lanka were subsequently called off following protests and disruptions by organised mobs. Although the Defence Ministry’s letter did not possess the force of law, it intimidated organisations and even appeared to endorse the disruption of civil society events. The Defence Secretary observed: ‘The final threat to Sri Lanka’s national security is the emergence of new technology-driven media, including social media sites such as Facebook, Twitter and other websites…..Those with vested interests can exploit social media, causing problems in Sri Lanka or any other country, by circulating certain ideologies online and mobilizing and organizing people. This can be done with a minimal physical presence, and therefore constitutes a threat that is difficult to contain through the traditional tools of national defence’. The timing and terminology of the defence establishment’s campaign thus had obvious links to its anxiety over how independent journalists reported on the Aluthgama riots. 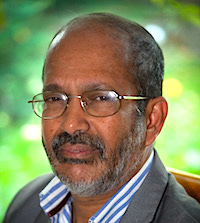 It is relevant to mention that it was also the social media platforms which were instrumental in advancing Maithripala Sirisena’s campaign, framed as a campaign for good governance to promote national reconciliation and a clean administration, which led to the remarkable regime change in 2015, due to MR’s government’s inaction and collusion with respect to religious violence in the post-war era. Social media was thus able to successfully counter -balance state control over the mainstream media as well as help in fighting a corrupt and racist regime. It is also perhaps the only unrestricted channel through which state -sponsored religious attacks can be documented and reported on to inform the public of ongoing attacks and prompt resistance. Moreover, social media platforms were crucial to ‘counter-messaging’, which helped defuse the build up of hate speech in the public domain to a certain extent, although insignificant in the face of organized hate. Thus, the positive power of social media cannot be overemphasized in today’s digital age particularly in the context of tackling hate in a society. Anti-Muslim hate speech has generally, qualitatively been more vicious and venomous than anti-LTTE sentiments even at the height of war. Sinhala Buddhist nationalist individuals and groups were “technologically savvy”, as Sanjana Hattotuwa, an analyst at the Centre for Policy Alternatives (CPA says, “and have used social media for years, posting memes, photos, videos and live broadcasts to spread and amplify their messages on a variety of platforms including Facebook, YouTube and Twitter. Their followers are in the tens of thousands and their pages were “extremely well-curated and updated frequently”. Hate peddler Amitha Weerasinghe, in a video posted to Facebook and YouTube shortly before the Digana attacks, urged his followers to converge on Digana in the Kandy district, saying: “This town has come to belong only to the Muslims. We should have started to address this a long time ago.”That video gained more than 50,000 views on YouTube in a week. Similar posts, blaming Muslims for inciting the violence in Kandy, and videos in which men in saffron and maroon robes called for support from viewers, were shared widely prior to and during the riots. In one such video, a man in a maroon robe labelled Muslims as a “threat to the Sinhalese” and told his supporters: “Enough of being patient. The knife you have at home is not just to cut the jackfruit. Now take your knife and go.”. 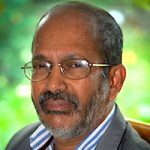 Ampitye Sumanarathana Thero, a hard line hate monk, who was reportedly seen in Kandy before the riots has nearly 40,000 followers while Dan Prasad, another crusader has more than 70,000 followers and a week before the Kandy riots, he had urged his followers to “protect your own race”. Facebook was blocked by the government for a week presumably to fight online hate and prevent misinformation, although it was too late and counter-productive/ineffective as a tool as it led to many dog whistle type talk to be spread by word of mouth and hiding many facts about politician/law enforcement involvement/connivance, from the people. Besides, many hate posts were in Sinhala and thus they escaped FB censors. Comically, a Sinhalese Facebook user(D..J), publicised a response from Facebook to a post he flagged over incitement to recent violence. The post in Sinhala said: “Kill all Muslim infants, don’t let even one remain”. But Facebook found that it did not violate the company’s hate speech standards, showing the ineffectiveness of their monitoring process of Sinhala posts. Further, the use of WhatsApp by Sinhala Buddhist nationalist groups has escaped government attention too, as much of their organising was now being done via closed groups on the platform. In fact, many of these individuals/groups have been operating with complete impunity, spewing hate and inciting violence and the government had been late in waking up to a problem many had been warning about for years, when there is a history of communal fault-lines, political unrest, racial tensions and identity conflict. As Hattotuwa says, ‘Sri Lanka had high literacy rates but poor information literacy, as they tend to immediately believe and uncritically respond to that which they see on social media. It’s (thus) not social media that is to blame for this violence … There’s a rot within our society, and authorities need to address the root causes.”. Banning Social Media is therefore NOT the answer. It should be kept open; however action should be taken to tackle hate speech in the social media,(monitor hate activity and take action against the offenders), but should go beyond – to tackle the root causes of intolerance, by initiating a much broader set of policy measures which are necessary, for example in the areas of intercultural dialogue or education for tolerance and diversity. I agree. Gnanassara should not be given honour titles at all. He is not a Buddhist monk but a rfuffian in saffron robes. He will go down in history as an a..hole who wrecked havoc on the social fabric of this country. The government’s response as usual was both too little and too late. They banned the facebook but did not arrest the prime hate monger suspects who were using the FB to spread hate except Amitha. How about Sinhaley monks. if the social media censors monitor their activity closely ,they can easily nab them. The fact is the government resolve to nab them is not too strong .